Glory Hummingbird Feeder. Glass and Brushed Copper. 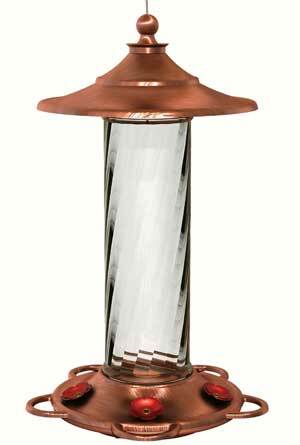 This Glory Hummingbird Feeder features a glass bottle and a brushed copper base with a 14 ounce capacity. Spiral Glass bottle with brushed copper top and base.